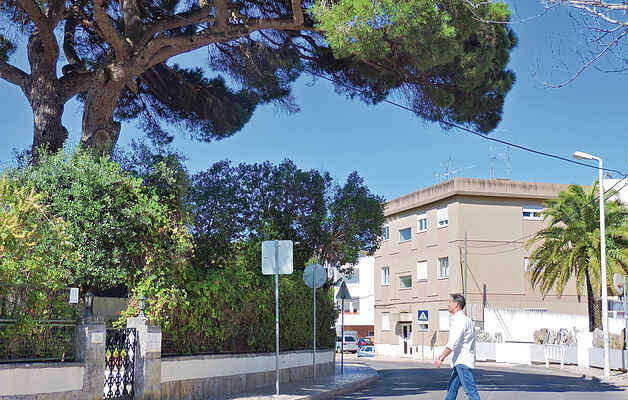 Easily reachable from Lisbon by public transport, this holiday apartment "Acacia" in Monte Estoril is a wonderful destination with idyllic landscapes and forms the adopted home of the nobility, the royal family and celebrities. The location of the apartment - only a two minute walk to the long beach promenade that leads to both Cascais and Estoril - with bars, restaurants and beautiful esplanades - is perfect to enjoy the best of the best of the place. Although the 1960s building is not a good example of beautiful architecture in Portugal, and contrasts with the mansions of the upper social classes, the Acacia apartment offers all the comfort you need for your holidays. Completely renovated in 2015, it has been restored with very nice modern finishing and test furniture. It accommodates up to 4 people, with 1 bedroom with a large double bed, a sofa bed for two adults, modern bathroom with shower and window, fully equipped kitchen, flat screen TV, WIFI and air conditioning. The apartment is the perfect place for a magical family holiday or a romantic holiday for two under the inviting Portuguese sun. Some of the most beautiful beaches with golden sand and stunning views are within easy walking distance. The coastline offers many water sports, hiking trails and countless golf courses. Right on the water, you can try your luck at the casino (15 minutes on foot), before taking a day trip to Lisbon or Sintra the next day.